How to pay the Bill with a Postal Cheque? 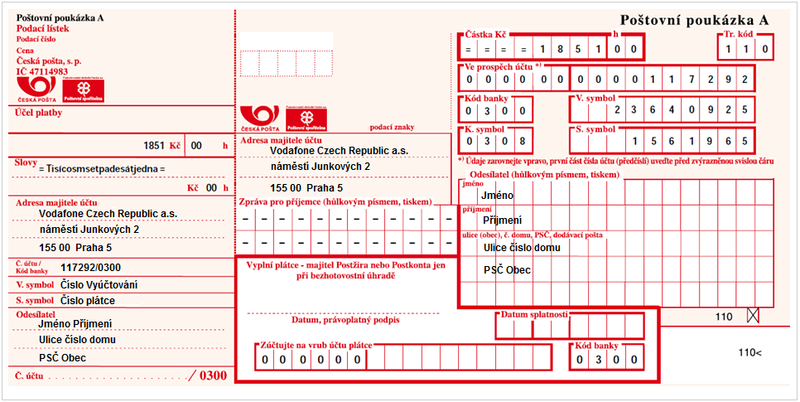 To fill in the Postal Cheque, you only need the payment details and the Vodafone address. Pay the filled Postal Cheque (Money Order) of the A-type at the Post Office. The payment is credited to the Vodafone account within 5 business days. If you receive a printed Bill, the filled Postal Cheque is a part of it. Simply take it to the Post Office and pay.